This is the result of my quilting class. I had never quilted on a machine. It almost felt like cheating but I think it turned out okay. 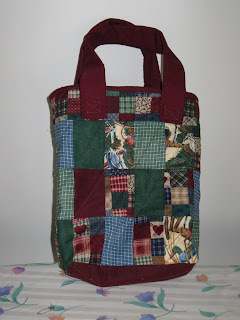 I am making a bigger one that may make a diaper bag or beach bag. I haven't decided. We are making a turning 20 quilt this month. I will post the results. wow! that looks great! i cant even sew in a straight line!